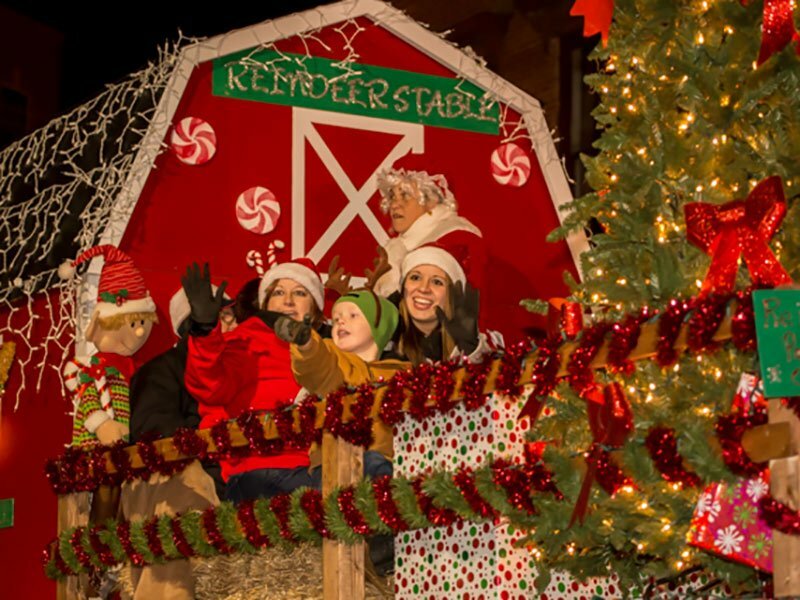 Get caught up in the swirl of light and sound on Saturday, December 7, during the Cambridge-Dorchester Christmas Parade — one of Maryland’s largest nighttime parades. Marching bands, floats, classic cars, horses, and more fill the streets with energy and excitement, as they have for more than 70 years. The parade route begins on High Street near Water Street in Cambridge at 5pm and continues on Poplar Street, then Race Street, ending at the intersection of Race and Washington Streets. Awards are given in various categories, including best classic auto, adult and youth floats, marching bands and marching unit. To register for the parade or make a donation, go to christmasparade.org. Come early and you’ll enjoy live music at 4pm at Cambridge’s Crab Basket Tree, plus the official lighting of the tree at 4:45pm! The Crab Basket Tree is constructed of about 200 crab baskets — the very bushel baskets that our local watermen use to bring in blue crabs from the waters on their way to our plates. The tree is located at the corner of Race and Gay Streets, right by the parade reviewing stand and Craig’s Drug Store. For more information, call 443-521-1671.